Preparations are underway for Lake Eden, Minnesota's annual Winter Carnival - and Hannah Swenson is set to bake up a storm at her popular shop, The Cookie Jar. Too bad the honour of creating the official Winter Carnival cake went to famous lifestyle maven Connie Mac - a half-baked idea, in Hannah's opinion. She suspects Connie Mac is a lot like the confections she whips up on her cable TV cooking show - sweet, light and scrumptious-looking, but likely to leave a bitter taste in your mouth. Hannah's suspicions are confirmed when Connie Mac's limo rolls into town. It turns out America's "Cooking Sweetheart" is bossy, bad-tempered, and downright domineering. 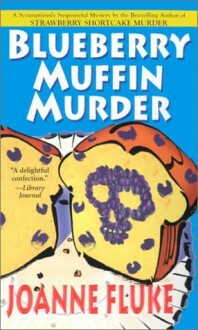 Things finally boil over when Hannah arrives at The Cookie Jar to find the Winter Carnival cake burnt to a crisp - and Connie Mac lying dead in her pantry, struck down while eating of Hannah's famous blueberry muffins.